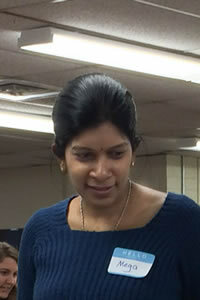 Dr. Mega Subramaniam, who serves as the PI for this project, is an Assistant Professor at the College of Information Studies (iSchool) at the University of Maryland, College Park (UMCP). She is also the Associate Director for the Information Policy and Access Center (iPAC) at UMCP. She earned her Ph.D. from the College of Information at Florida State University and her MS (Instructional Systems Technology) from the School of Education, Indiana University. Her research focuses on the role of school library programs in facilitating and sustaining the development of information literacy skills that are crucial for young adults to function successfully in scientific learning environments. Subramaniam’s research has been funded by the National Science Foundation, National Library of Medicine, Institute of Museum & Library Services, the Smithsonian Institution, and the Deutsch Foundation, among others. For more information about Dr. Subramaniam, see: http://www.terpconnect.umd.edu/~mmsubram/ or follow her on Twitter at @mmsubram. Dr. Beth St. Jean, who serves as co-PI on this project, is an Assistant Professor at the College of Information Studies (iSchool) at the University of Maryland, College Park (UMCP), as well as an Affiliate Faculty Member of the Herschel S. Horowitz Center for Health Literacy in the School of Public Health and a Senior Research Fellow with the Information Policy and Access Center (iPAC). She received her Master of Science in Information (Library & Information Services specialization) in 2006 and her PhD in Information in 2012, both from the University of Michigan School of Information. Her research focuses on the crucial interconnections between people’s information behaviors and their health behaviors, as well as on the processes they use to assess the credibility of information. Her work as a Graduate Student Research Assistant was supported with funding from the MacArthur Foundation (Credibility 2.0 Project) and IMLS (MIRACLE Project). For more information about Dr. St. Jean, see: http://terpconnect.umd.edu/~bstjean/. Dr. Dana Casciotti has over 10 years of experience in the public health field working in academic, government and nonprofit sectors. Her training has focused on behavioral and social factors related to health, especially cancer prevention and control and health communication. She received her MPH from the University of Pittsburgh in 2003 and her doctorate from the Johns Hopkins Bloomberg School of Public Health in 2011. Dissertation research was supported in part by the Richard L. Gelb Cancer Prevention Fund to collect and synthesize data resources to understand media influences on public opinion about the human papillomavirus (HPV) vaccine. 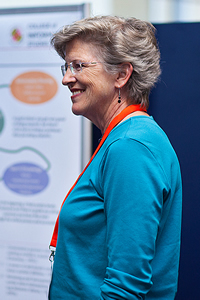 She has experience conducting and evaluating research programs as well as translating research findings into usable information for consumers. Dr. Casciotti is currently a program analyst in the Office of Health Information Programs Development at the National Library of Medicine (NLM), part of the National Institutes of Health. She is also a member of NLM’s Outreach, Consumer Health, and Health Disparities Coordinating Committee. The NLM has extensive outreach programs to enhance awareness of NLM’s diverse information services among biomedical researchers, health professionals, librarians, patients, and the public. NLM is committed to eliminating the gap in health information access and health literacy among minority and other underserved populations. Faith Ambrosini is a research assistant for the HackHealth project in the Information Policy and Access Center. She has completed a Master of Arts in Biological Anthropology at Texas A&M, and a Bachelor of Arts in Anthropology at Indiana University of Pennsylvania. 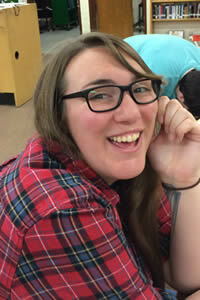 Faith is currently working toward a Master of Library Science at UMD’s iSchool. Interests include information access, military intelligence procedures, and body modification practices. 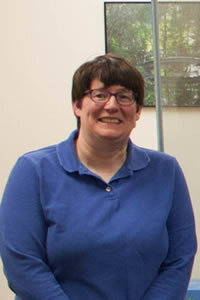 Rebecca Follman is a doctoral student in the College of Information Studies. She has an MLS from the University of Maryland and a bachelor’s in English from Northwestern University. Prior to entering the graduate program at the iSchool, she was a high school English teacher and webmaster. Her research interests include the information behaviors associated with mentoring, e-literature, and information literacy. With iPAC, she works on HackHealth. 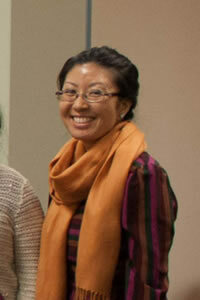 Christie Kodama is a doctor al student in the College of Information Studies at the University of Maryland. She received her Master’s degree in Library Science with concentrations in School Library Media and Information and Diverse Populations from the University of Maryland in May 2011. 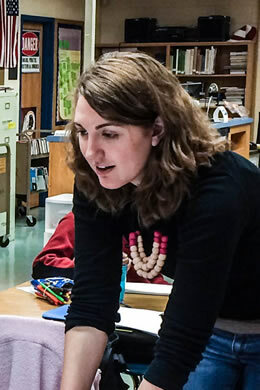 Christie has a background in education; she has worked in both U.S. public schools as a classroom teacher and librarian as well as in after-school English academies and middle and high schools in South Korea. Her research interests include using new technologies in teaching and learning, the role of school libraries in student achievement, and urban school librarianship. At iPAC, she is currently working on the Lilead Project. Some of her other interests include Web 2.0 technologies and Website design. 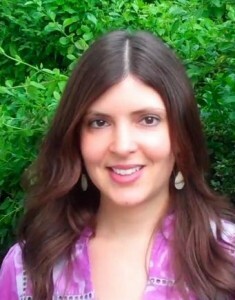 Natalie Greene Taylor is a doctoral student at the University of Maryland’s College of Information Studies. She is a Graduate Research Associate at the Information Policy & Access Center in Maryland’s iSchool, where she works on projects relating to e-government, digital literacy and inclusion, school libraries, and children’s health literacy. She received her Masters of Library Science at the University of Maryland, College Park, specializing in e-government and school library media, for which she is certified in the state of Maryland. Follow Natalie on Twitter at @ngreenetaylor.